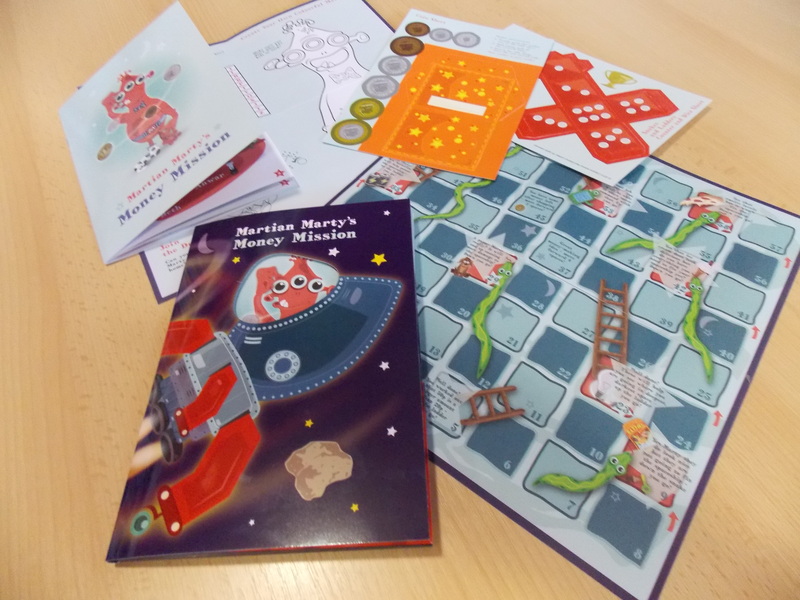 Citizens Advice Hart have launched a free educational resource aimed at 5-7 year olds (Key Stage 1) called “Martian Marty’s Money Mission”. 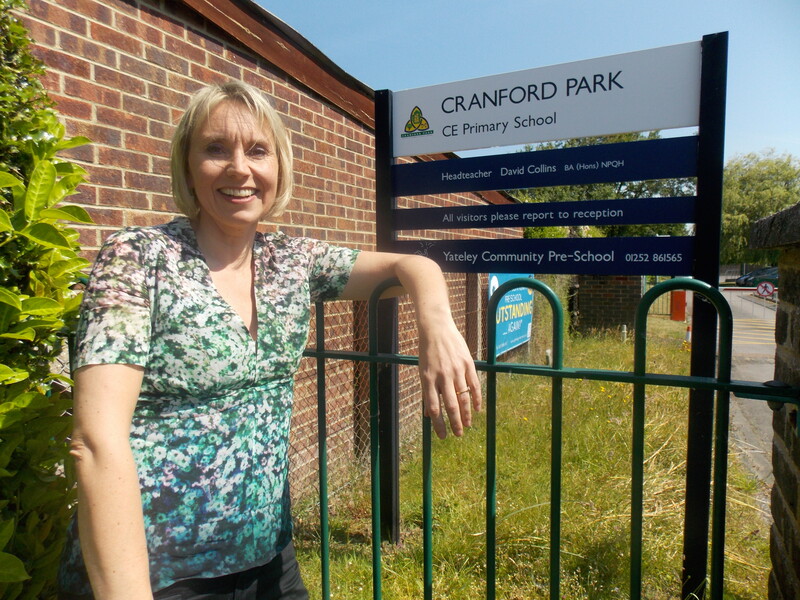 After a successful pilot in the school, the first to take it up is Cranford Park Primary, Yateley, Hampshire. 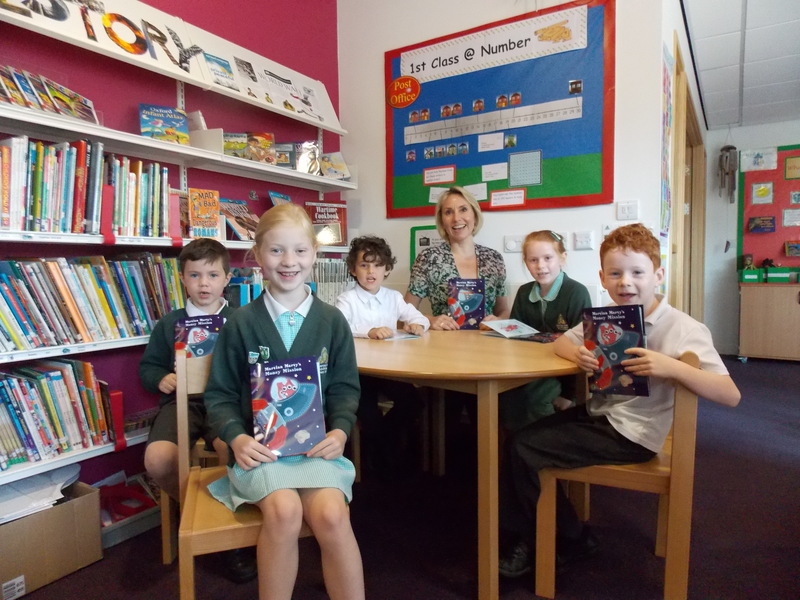 Pupils were joined by high profile financial analyst, Louise Cooper to launch the packs. Louise is a former pupil of the school, now more likely to be found on BBC Newsnight, Sky News, or in her Times newspaper column sharing her expertise on all things financial. Louise Cooper, with Cranford Park Primary Key Stage 1 pupils (Left to Right): Shay; Jessica; Charlie; Sophie & Ollie. The project, funded by the ‘Big Lottery Fund’, aims to address one of the major issues on which local people approach Citizens Advice for help – money management. Along with other organisations, Citizens Advice wants to prioritise the development of financial capability, so that people can make well-informed decisions, and take positive financial action before it is too late. Figures suggest that 31% of 18-24 year olds are over-indebted, while debt charity StepChange has reported an 85% increase in the number of that age group seeking help between 2010-2013, with average unsecured debts of £5000. “With Citizens Advice Hart seeing many 3rd and 4th generations of the same families having problems with debt, we took the decision to prioritise working with children on the issue, as many of the patterns of behaviour as to whether people avoid paying bills can be largely addressed by the age of seven years old,” explains Citizens Advice Hart CEO, Ouida Grant. The packs, which are designed to fully support the National Curriculum, have learning outcomes for children, based around helping a Martian character who has arrived on Earth with no concept of money whatsoever. These include recognising coins; matching coins to written amounts; recognising which money has higher or lower values; and recognising what is a ‘want’ and what is a ‘need’. It features specially commissioned characters, games, activities, cardboard coins, and lesson plans for the schools. The packs are available free of charge to schools in the Hart District area, and can be bought by other schools outside of the area. Tavistock Infants in Fleet is the second school which will be using the packs. If you work at a primary school in the Hart District, and are interested in taking the packs, you should contact the project coordinator, Ailsa Kempthorne at Citizens Advice Hart. She has helpfully signposted these links too, one on habit formation and young children, and one on young people and financial capability, both by the Money Advice Service, which helped inform the project.